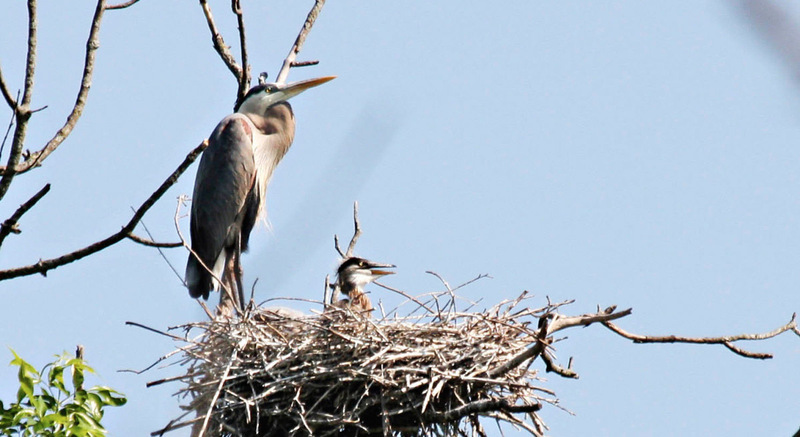 Out at the local heron rookery lots of new families are busy with little ones. 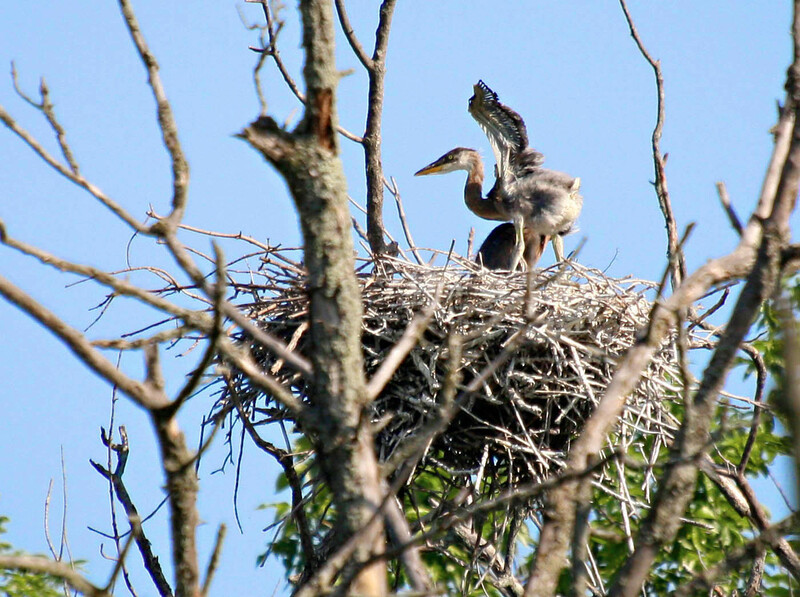 Here are two photos of heron chicks that were taken in the last week. Be sure to click on the photos for larger sizes. I hope you like them.